Which SUP is Best for Women? 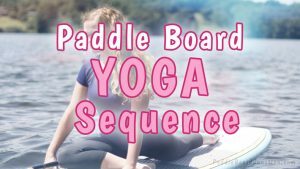 Paddle boarding is the perfect activity for everyone: it’s fun but still challenging, and it tests your abilities to balance and stay stable no matter what comes your way. 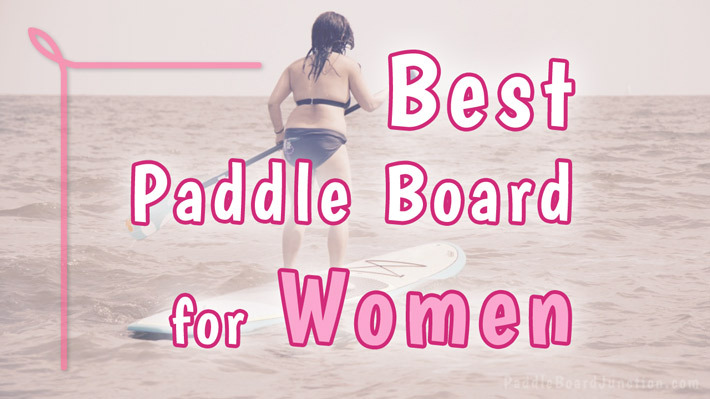 But sometimes, it’s more difficult for women to find an SUP that’s right for them, since women may need something lighter for easy transportation. There’s no need to buy a board that carries 350 pounds if you don’t need to. 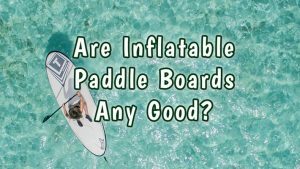 If you’re looking to paddle board as a way to relax, you shouldn’t have to buy a board that’s just going to be a hassle to use. 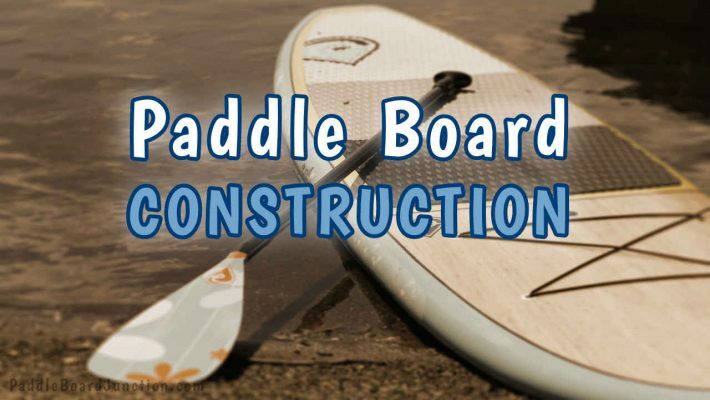 This BIC board is built with a strong polyurethane foam interior and a polyethylene exterior, ensuring that your board will withstand harsh waters. Not only are you guaranteed to be stable with such a tough board, but you’ll be comfortable with its soft EVA deck pad that offers maximum grip. 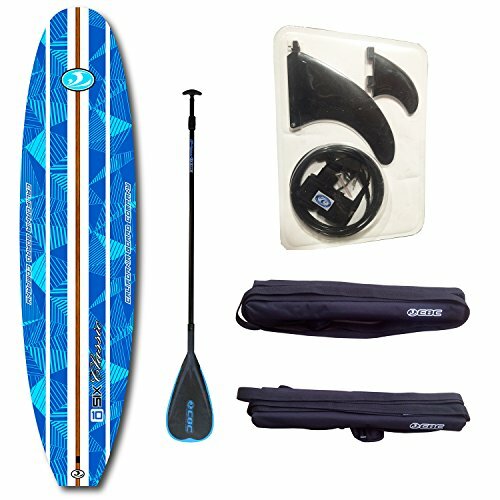 This SUP also features an “Ergo-Grip” handle, allowing for easy transport. No matter where you’re going, your board can come with you. BIC boards are made from a family company that’s been around since the 1970’s, so you know that you’re getting a board that has been perfected to fit each woman, even if she’s just starting out. The BIC Sport DURA-Tec 9’4 measures at 27.5 x 3.5 x 112 inches and weighs 30 lbs. It can hold up to 135 pounds and is available in white/green. It’s ideal for any athletic girl who’s looking for a sleek, but sturdy board. This iSUP is one of the most durable boards offered. It’s practically indestructible despite being an inflatable board. Constructed from military grade PVC, the board was made to survive no matter what comes its way. No need to worry if you’re in a rocky area because it’ll survive through it all. The shape of the board is unlike other SUPs, with a wide nose that’ll give users an even greater sense of stability. This board will make you feel almost weightless on the water. Since the ISLE Airtech 10’4 is an inflatable board, it’s already going to feel lighter. But, at only 18.2 lbs, it’ll feel like a feather compared to any other board that you’d have to drag around. It doesn’t compromise its quality for its lightweight, since it can still support up to 255 lbs. So go ahead and take some equipment or even a friend to ride with you on the amazing journey you’ll have with this board. 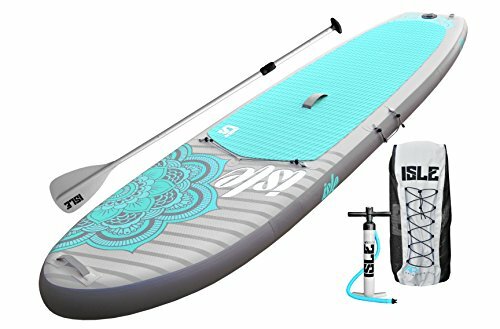 The iSUP measures at 10’4” x 31” x 6” and is available in a beautiful aqua/grey that features a unique mandala-like pattern. So if you’re a woman who likes her and her board to stand out, the ISLE Airtech 10’4 is the one to chose. This CBC board is almost invincible from damage, with an incredible structure that has continually impressed its users. The board contains a 100% waterproof core, so no matter how often you ride this board, it’s sure to stay intact. Although solid SUPs tend to be heavier, the California Board Company 10’6” is built with EPS foam, making it lighter and easier to manage. To establish absolute stability, there’s space for a tri-fin set up if you’re looking for some extra security while surfing those waves. 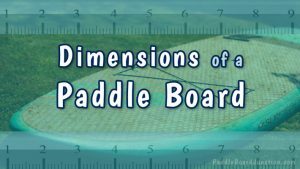 And with a polyethylene layer underneath the board, you’ll be able to glide through the water with ease. No obstacle can come between you and your paddle boarding. Its lightweight doesn’t stop it from being strong, because it can hold up to a whopping 300 pound. Anything you want to bring with you, you can. The California Board Company 10’6” measures at 126″ x 30″ x 5″ and weighs 25 pounds. This fluorescent blue SUP will make any woman pop while she’s riding those waves. All three of these boards are perfect for any woman who’s looking for a new board or who is just starting up. Their lightweight and relatively smaller size compared to other boards out there makes them easy to transport, but they still offer that great quality that everyone looks for in their SUPs. 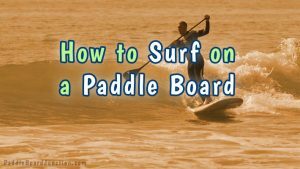 The BIC Sport DURA-TEC 9’4 is better for those who are still learning the basics of paddle boarding and looking for a board that doesn’t need to hold too much weight. It’ll keep you balanced and can be carried from place to place with its handle. Want to practice your scorpion pose? The ISLE Airtech 10’4 for riders who want to take up yoga boarding, since it’s extremely stable and wide to give users room to show off their downward dog. Both the ISLE Airtech 10’4 and California Board Company 10’6” can hold a lot of weight, so if you’re a female rider who likes to bring her companion on her trip, these boards will do the trick.